We all know that Jesus was born in a stable, but the facts about that stable, about how they got there and what it is, are not so well understood. The word the King James translators choose to translate as inn, kataluma, is the same word that Mark and Luke later use for the Upper Room in which the Last Supper is held. In both Luke 22:11 and Mark 14:14 the same Greek word, katalum, is translated as guestchamber, and in the story of the Good Samaritan the word translated as inn is not kataluma, but pandeion. What most scholars now believe is that Mary and Joseph went to stay with relatives in Bethlemem (which makes sense also because Bethlehem was such a small town it would be unlikely to have enough business to support an inn), but by the time they arrived their relatives' guestroom was already taken and so they stayed in the stable. This makes sense because many homes in that day were built in front of a cave and used the cave to stable animals and supplies. But where the stable is isn’t the important thing. The stable is still a stable filled with animals and the filth and stink that go along with a stable. I can imagine how Joseph and the relatives worked to make the cave as comfortable as possible as Mary stove against the pains that would bring our Savior into the world. Again the symbolism is astonishing. Caves are under ground. 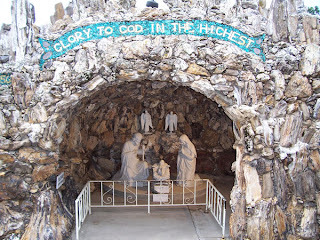 They are below the earth's surface and from this underground stable-cave Mary brought Jesus forth and gave Him mortal life. 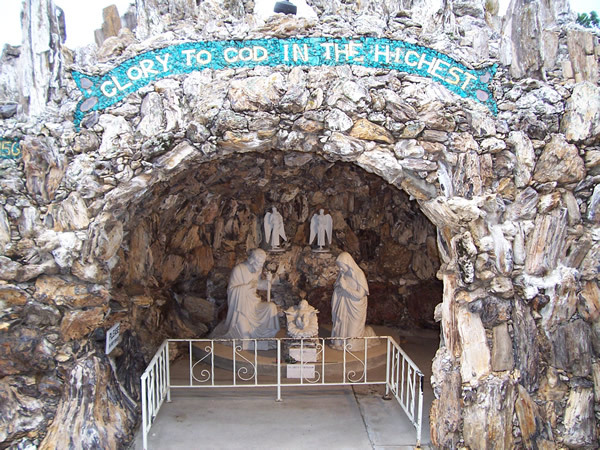 This foreshadows the event three decades later when, from an underground sepulcher-cave, Jesus would come forth to give Mary and all of us immortal life. Both caves remind us that Jesus descended “below all things” (see 1 Nephi 11:16; D & C 88:6). Theologians call this the condescension of God, and Paul describes it like this: He was God “but made himself of no reputation, and took upon him the form of a servant, and was made in the likeness of men” (Phil. 2:7). The King James translators chose to translate the Greek word used in this verse as reputation, but a more accurate translation is that Jesus “emptied himself.” He was God, yet He emptied himself of power to begin anew, growing from grace to grace. He is the Word, and yet He came as a wordless infant. He took nourishment at Mary’s breast. and yet He came as the servant of man. to be the beast upon which all burdens would fall.